Asgardia 1 is a proof of concept satellite for long-term data storage in orbit by Asgardia Space (a.k.a. the self-proclaimed 'space nation' Asgardia). The satellite will host a 512 gigabyte solid state hard drive preloaded with data. This data can be later updated in orbit via the Globalstar satellite communications network. 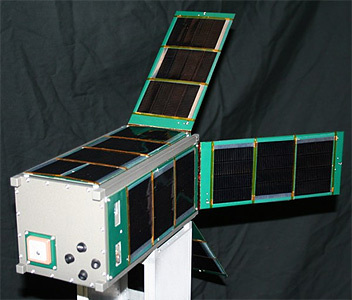 The satellite will also have two particle detectors, mounted externally and internally, to map the solar flux, and determine the radiation dosing that the internal electronics are receiving. The satellite is to fly in late 2017 on the Cygnus CRS-8 mission. After leaving the ISS, the robotic Cygnus boost itself into a 500 kilometer orbit and deploy Asgardia-1 into orbit under an arrangement worked out through Houston-based NanoRacks.